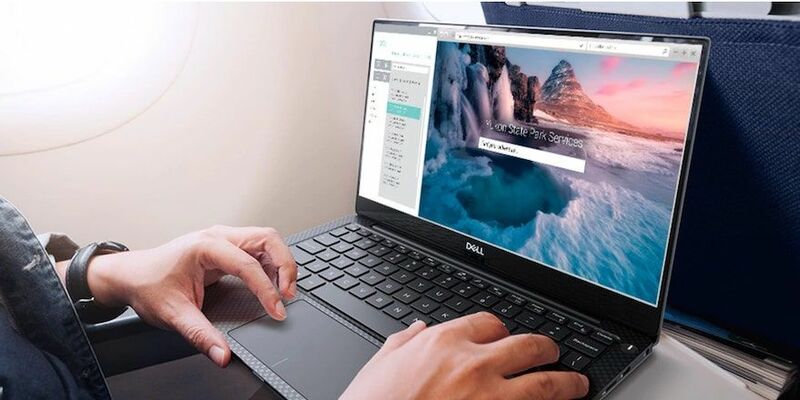 Dell is globally renowned for providing laptops in various segments and it has been doing quite well to attract a huge audience with their offerings. This time, the brand has brought a mid-range 2-in-1 laptop, which comes with a cut-throat pricing for a mainstream convertible laptop. 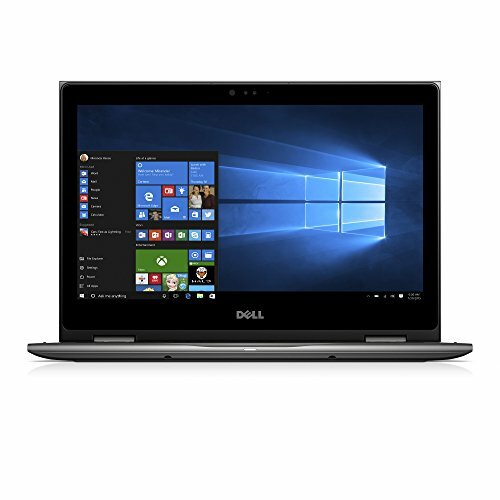 Our current contender, the Dell Inspiron i5378-2885GRY, is an intruding product from the Dell’s Inspiron 5000 series 2-in-1 notebooks. The entire range of laptops from Dell is now coming with the latest 7th Generation Intel core processors for better performance. Since this laptop is constantly being a global best-seller, we decided to put this laptop to test, and this is what we feel of this affordable 2-in-1 notebook. 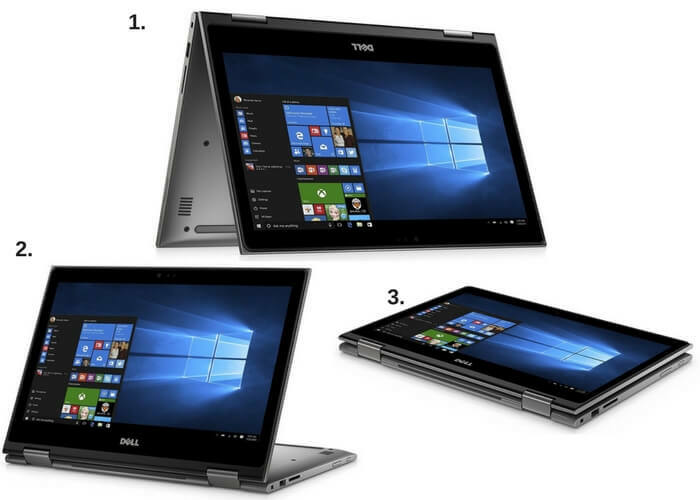 Speaking about the design and built quality of the Dell Inspiron i5378-2885GRY, the notebook comes with grey matte finished chassis. The laptop resembles most of the other laptops in the segment and is recessed inside a plastic chassis. 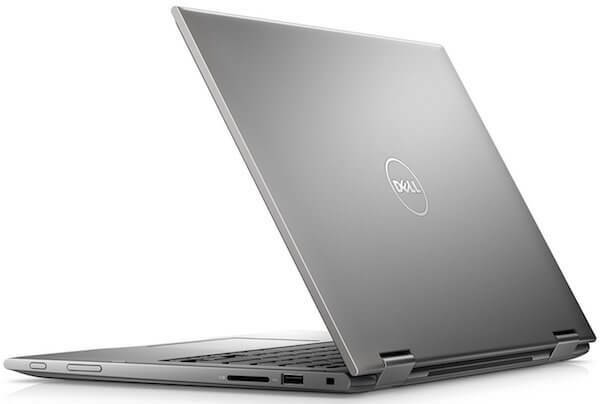 On the top, the laptop comes with a gunmetal grey slab with Dell’s logo recessed in the centre. It sports a 13.3-inch display and comes with a backlit enabled chuckle keyboard, which is very well designed for all forms of usage. The trackpad is also very well placed and is comfortable to use. 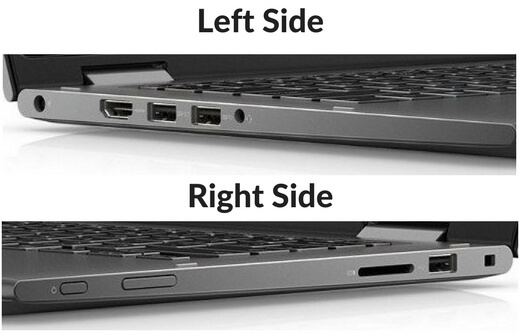 On the either sides of the laptop, you have one USB 2.0 port, two USB 3.0 ports, a microSD card slot, an HDMI port, a headphone jack, and a charging slot. Speaking of the dimensions of the laptop, it comes with dimensions of 325 x 224 x 20.4mm, which makes it a slim offering in the segment. 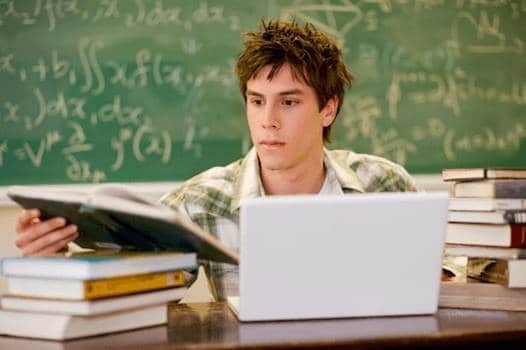 Also, the laptop weighs just 3.4 pounds, making it a perfect portable and easy to carry around laptop, which is most suited for college students, business men or anyone who wants powerful and lightweight laptop for their work. Now, getting deeper into the convertibility and ergonomics of this laptop, it comes with an innovative 360-degree hinge, which adds on to the versatility and comfort of usage. The laptop allows you to switch easily between four different modes. The tent mode is perfect for using recipes in real time, this mode is also perfect for video calling your friends and family while working on something. Stand mode of this convertible notebook is meant for movies on the go. 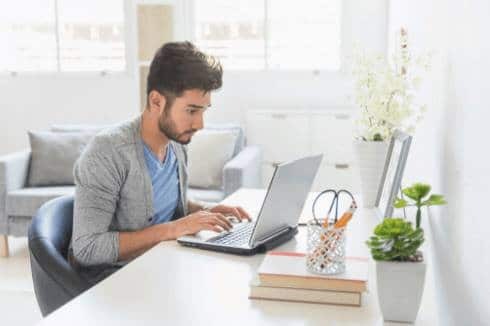 The typical laptop mode is meant for most of your routine work that you’d do from your laptops such as working on word documents, writing emails, and more. Finally, the tablet mode makes reading easy while you’re leant or reclined. 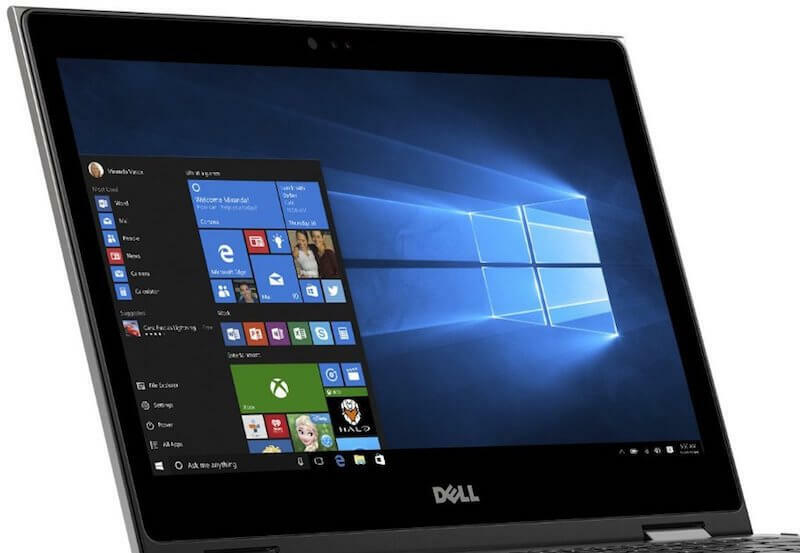 Dell Inspiron 13 5000 series 2-in-1 laptop sports a 13.3-inch Full HD display, which comes with a new design emphasised on more screen and less bezel. This not only gives a larger display but also provides a wide-angle display. The display panel on the device is a TrueLife LED-backlit touch display, which provides a brilliant wide-angle view. The laptop’s screen comes with a resolution of 1920 x 1080 pixels, giving it a sharper image quality. The laptop’s display is not the brightest you get in the segment, and we felt that it was quite dull. The laptop’s sunlight legibility isn’t the best, and the blacks on the display weren’t accurate as we’d expect from a laptop this calibre. All in all, the laptop’s display is surely a worth considering drawback of the notebook. However, its touchscreen functionality works absolutely fine in almost all the use cases. The laptop as aforementioned offers a good set of specifications and hardware for the asking price. Enough said about the looks and ergonomics of the laptop, speaking about the actual innards of this laptop, the Dell Inspiron i5378 comes with a handsome set of hardware and features. Under the hood, the laptop is powered by a latest 7th generation Intel Core i5-7200U processor paired with 8GB of DDR4 RAM. Moreover, the processor can achieve a clock speed of 3.10GHz, which makes it very easy for the device to handle heavy games and apps. The laptop comes with a massive 1TB of hard disk with 5400RPM, which is another attractive feature for the price segment it comes under. It also houses Intel Graphics Media Accelerator X3100 graphics coprocessor to handle all the graphic related content. Like most of the small convertible laptops, the Dell Inspiron 13 5000 series 2-in-1 laptop also doesn’t house a CD/DVD drive with it. Dell Inspiron i5378 sports a 720p camera, which does the work of capturing images and aiding video calls. Although the images captured using the laptop’s webcam are kind of grainy, the video calls made are serviceable. The colour reproduction is accurate and a camera does manage to capture a lot of details in the images. In addition to this, the laptop’s webcam uses infrared technology to bolster facial recognition. It’s actually very hard to find facial recognition in laptops at this price range, which is again a very good aspect of the laptop. 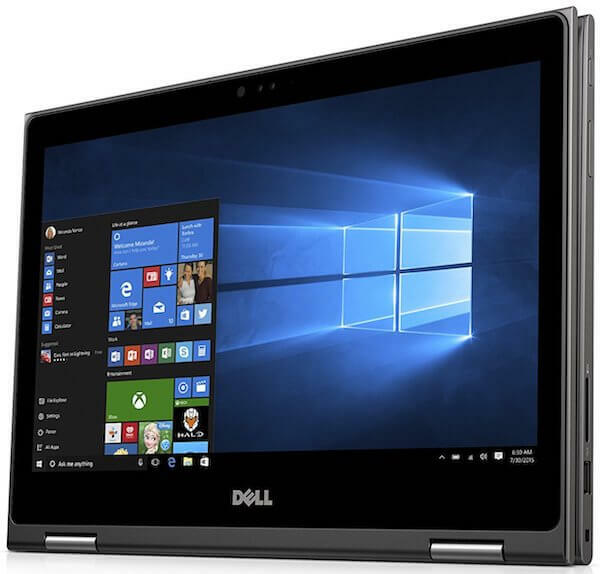 Like all other Dell Inspiron 5000 series of laptops, the 2-in-1 i5378 also comes with a good set of ports to support additional peripheral devices and to make the most of a laptop. Speaking of the ports, the laptop houses one USB 2.0 port for your regular usage, two USB 3.0 ports for enhanced data transfers and added functionalities when you connect any peripherals. The laptop also houses a full sized HDMI port to connect to any display devices. As far as the audio connections are concerned, it comes with a 3.5mm combo audio jack. The Dell Inspiron also houses a Micro-SD card reader slot to connect with an SD card. We would have loved the USB Type-C port and we hope that Dell will include it, may be in their next generation 5000 series convertibles? 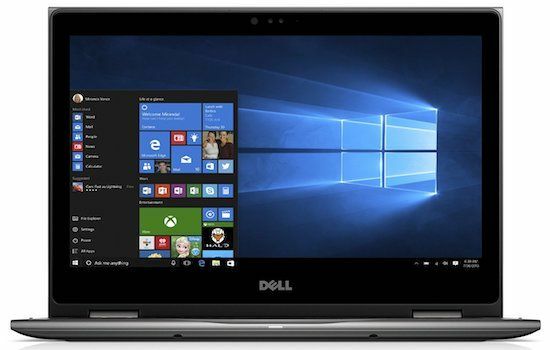 The Dell Inspiron i5378-2885GRY runs Windows 10 64-bit Home variant right out-of-the-box. Windows 10 is absolutely the most productive OS in the contemporary world and evidently, doesn’t need an introduction in the field of laptops. It is not just productive but is also the most common, easy-to-use, reliable, and an OS with the highest number of compatible apps for laptops. Like all the latest Inspiron laptops, the current laptop also comes with a set of useful apps, readily installed with the laptop. 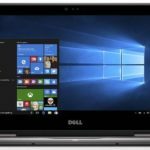 These includes Dell’s SupportAssist app, which is a fairly useful app to provide the right tech support in case of troubleshooting. The Dell Update app makes sure the laptop runs on the latest OS and has all the latest drivers installed. Speaking of the other apps which come preloaded with the laptop, there is some bloatware includes such as DropBox, Royal Revolt 2, Facebook, Netflix, Candy Crush Soda Saga, Twitter, Minecraft: Windows 10 Edition, and Houzz. Some of them are useful but others can be easily uninstalled. The laptop comes with a one-year warranty, like most of the other laptops. However, Dell’s after sales support is far better than that of most of the other brands. All thanks to the latest Kaby Lake (7th Gen) Intel Core i5-7200U Processor clocked at up to 3.10 GHz, the new Dell Inspiron 5000 series 2-in-1 laptop runs utterly smooth in almost all the everyday essentials such as handling apps, using for multimedia purposes, gaming, and more. The processor is paired with a good 8GB of RAM, which makes the laptop able to handle multitasking with ease. During our review, we tested the laptop with multiple apps running simultaneously, to which the laptop responded really well. Although there was a very minute lag, it was hardly noticeable. For multitasking, we tested the laptop by running benchmarking apps in the background, Google Chrome with up to 15 tabs opened simultaneously, music in the background, and with a constant connectivity to the internet. The laptop was hardly warmed even after 1 hour of such extensive usage session. During our benchmarking, it managed to score a good 62,482 on 3DMark Ice Storm Unlimited test. On Geekbench 4, the laptop scored 6800 which depicts the overall system performance with a stress on graphics reproducibility. These numbers are pretty impressive for a laptop priced just little above $500. As mentioned earlier, the Dell Inspiron i5378 comes with Intel HD 620 integrated graphics bolstered by the Intel Graphics Media Accelerator X3100 graphics coprocessor. Although the laptop does have a decent set of specifications, it is not meant for extensive and heavy gaming with high graphics and is, therefore, not a primarily gaming stationed laptop. 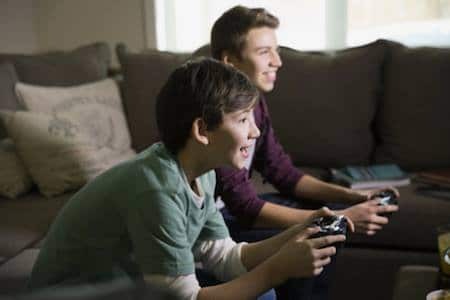 Although the laptop is not meant to handle heavy games such as GTA V, Battlefield, or the DEUS EX in their highest graphics mode, most of the games like the Counterstrike, heroes of the Storm, and Shadowman were still pretty much playable when the graphics set to low/medium. On a conclusive note, this laptop can although handle games and graphic-intense apps to an extent, it’s not for the people whose primary concern is gaming. The laptop comes with two built-in Stereo speakers, which are powered by MaxxAudio technology, for better all round sound. The speakers do a great job in providing decent audio output and also doesn’t turtle at the volume set to maximum. We played high-quality FLAC files on this laptop and the output was just as loud and clear as expected. As far as playing videos, the laptop can handle HD, Full HD, 2K, and 4K videos without an issue and thanks to the wide-angle screen, watching videos and movies on this 2-in-1 convertible is fun and convincing. Dell Inspiron 13 5378 2-in-1 is a powerful laptop with a decent set of specifications including a Full HD display. As for the battery life, the laptop stays juiced up by a 3-cell, 42 Whr battery pack. During our review, the laptop lasted for around 6 hours of continuous usage. The battery backup is not the greatest considering other similar laptops in the segment delivering 8-10 hours of battery backup. The laptop takes about 3 hours to get charged from 0 to 100. Dell Inspiron i5378 is definitely a power-packed convertible 2-in-1 laptop, which you can get at this price. The laptop does have few pros and cons, but after an extensive review, we personally feel that the laptop has more advantages and benefits than that of its drawbacks. The dull display can be overlooked with its convertible feature. Mediocre battery life can be overlooked by its powerful performance. All in all, the Dell Inspiron 13 5000 series 2-in-1 laptop is definitely a must buy, if you’re looking for a laptop to flaunt with looks, portability, and performance. No! This isn’t the right laptop to buy for CAD work. This guide on CAD laptops shall help.